In Episode 48 of the Super Podcast Action Committee Andrew and E. Zachary Knight discuss two polls this week – one about always online consoles and another about having moral objections to gameplay that is so offensive to you that it makes you stop playing. There’s also a lot of discussion about the Wii U, the latest Monster Hunter game and a classic game EZK is playing because he found it for cheap used. 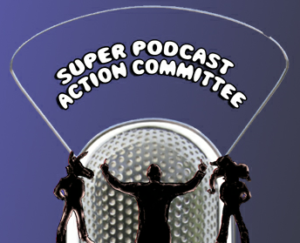 Download Episode 48 now: SuperPAC Episode 48 (1 hour, 10 minutes) 66.2 MB.